This Tissue Paper Cherry Blossom Card is sponsored on behalf of Dollar Tree. All opinions and experiences are my own. I like getting crafty but when it comes to the crafts I do, I like them to be kid-friendly and affordable. This homemade card is super easy to make and fun for the kids. And with help from Dollar Tree, I bought all the supplies (and have extra left over for more projects) for just a few dollars! W had a blast helping me make this card for his Grammy for Mother’s Day and I think she’ll love it! Check out how easy it is to make! With a pack of construction paper, a pack of tissue paper, some new crayons, and a bottle of glue, we were ready to make a card for Mother’s Day! W was more than happy to help color and tear tissue paper while we created the card. It was great to get him involved in making something for his grandmother. I think it means a lot to both of them when it’s something we made. Fold white construction paper on half to create card. 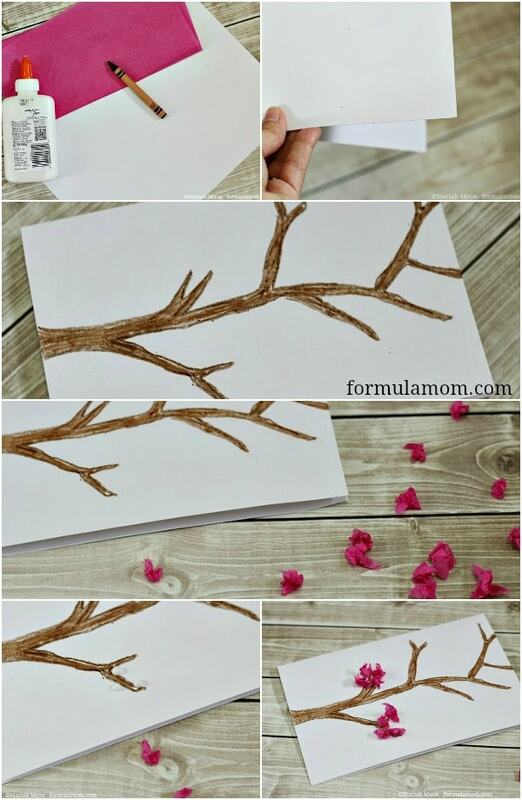 Draw tree branch with crayon and color in. For younger children, you could outline the tree and let them color it in. Tear tissue paper into pieces and roll into balls. Glue tissue paper along branches and let dry. Add your message to the inside of the card! I also love the versatility of this craft. We can make cards or even make them on canvas. We can use crayons or paint depending on how messy I want things to possibly get. We can also use a variety of different colors of tissue paper to make different trees. I think it would be a lot of fun to make trees for different seasons. I know an autumn tree would be gorgeous to put on our mantel. 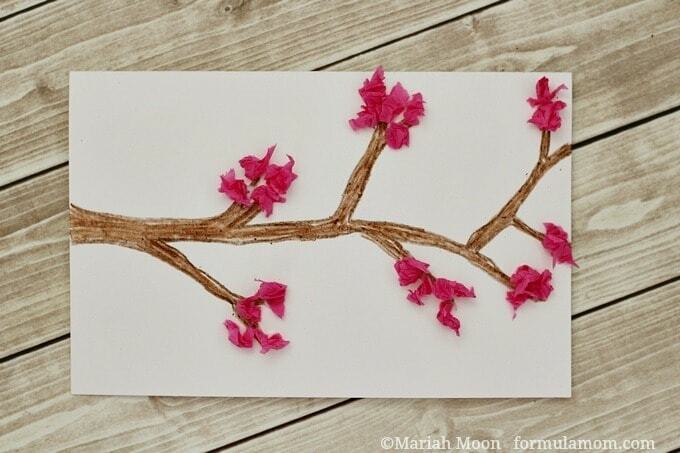 But the gorgeous tissue paper cherry blossom tree is just perfect for Mother’s Day! And if you’re looking to make them for more than one important mom in your life, shopping at Dollar Tree makes it even more affordable to get all of the supplies that you need! 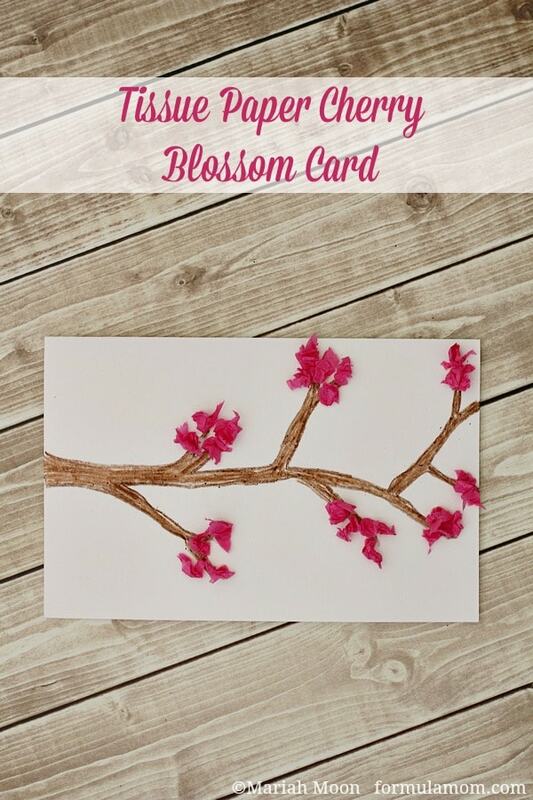 Who in your life would love to receive a tissue paper cherry blossom card? « What’s Your Sleep Number SleepIQ? This is super cute! Love this idea and its so simple. This is a great craft to make for a friend, or just as a thank you card too! I love cherry blossoms they are so pretty. Love how easy it is to create a beautiful handmade gift.